Published on Friday, October 9, 2015. Charlie Hoffman is a staple of the Minnesota music scene. Not as a professional musician, but for the beautifully crafted, steel-string acoustic guitars that he designs and builds. 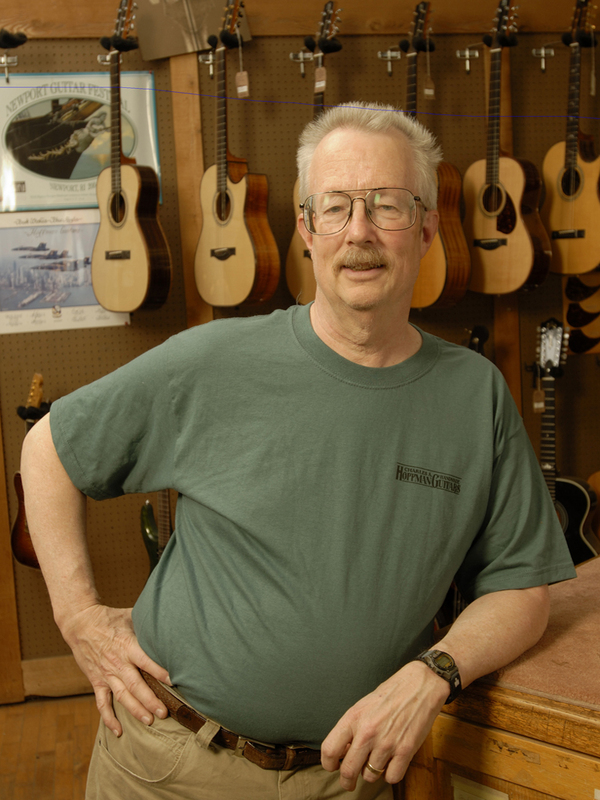 Hoffman has been in the business for a long time, opening Hoffman Guitars more than 40 years ago. His guitars are prized and coveted by many national and local musicians. We are thrilled that he will be joining us for our first salon of the fall to tell us a bit about his background and some of the ins-and-outs of making guitars. More specifically, I am thrilled to have had a chance to chat with him pre-salon about things like his favorite type of music. You won’t want to miss hanging out with Charlie Hoffman on Wednesday, October 14, at 7:00 p.m. at the American Craft Council Library. Tell us a little about your background. How did you start making guitars? Over the years I have done a lot of woodturning. I don't sell them but my house and those of my relatives are full of bows etc. At one time, when I was a practicing attorney, I was the pro bono legal counsel for the American Association of Woodturners. Music tends to be a powerful part of many people's lives. As someone who creates one of the tools that musicians use to convey their message, can you tell us of a particular meaningful experience or encounter that you have had? No one event comes to mind, but I started listening to folk music very early (Kingston Trio) and first heard live bluegrass music at the Scholar Coffee house in Dinkytown around 1964. Another great encounter for me was the first time I heard Doc Watson, one of the greatest acoustic guitar players ever. I have photos of him playing one of my guitars. What is your favorite type of music or your favorite musician or band? Bluegrass was my favorite for a long time (maybe still is), though these days I listen to Linda Ronstadt a lot. What can we look forward to in your salon talk at the ACC? I will bring a guitar and some photos. Other than that, I would love to answer questions because that tells me what you find interesting.